(TibetanReview.net, Jan11, 2017) – The Organizing Committee of the Dalai Lama’s 34th Kalachakra Initiation ceremony being held at Bodh Gaya over Jan 2-14 has on Jan 9 called a press conference to mainly refute news reports claiming that the exiled spiritual leader of Tibet had called the Buddha Shakyamuni an incarnation of the Hindu god Vishnu. The reports had appeared in some Hindi newspapers, including the national daily the Hindustan Times. The report had raised concern among a section of Indian Buddhists, especially people in the Neo-Buddhist community and centres in the state of Maharashtra who were reported to have requested a clear statement on the matter. Neo-Buddhists are predominantly people who have embraced Buddhism to escape discrimination under the Hindu caste system which still prevails in many rural areas of India. Hindus regard the Buddha shakyamuni to be an avtar of Vishnu, although Buddhists do not accept this. Addressing the press conference, exile Tibetan ministers Kalon Karma Gelek Yuthok and Kalon Choekyong Wangchuk, who are the chairman and vice chairman of the 34th Kalachakra organising committee, have called the reporting false. “His Holiness the Dalai Lama has never made any statement like this. We categorically deny these reports,” said the chairman. 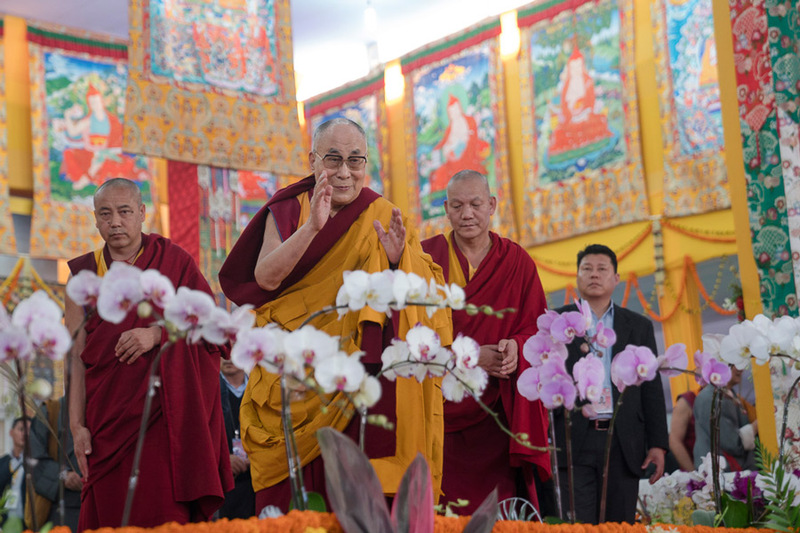 During the press conference the chairman said around 200,000 people were attending the Kalachakra teachings, including 23,000 monks and nuns, 48,000 foreigners from 92 countries registered with the security department, including 8,000 to 9,000 from countries other than Nepal, Bhutan and India. WHAT IS THE PROBLEM IF WE THE HINDUS WORSHIP BUDDHA AS INCARNATION OF LORD VISHNU. BUDDHA, THE INCARNATION OF LORD VISHNU, IS THE CONCEPT OF FRIENDLY AND HARMONY RELATIONSHIP BETWEEN HINDUS AND BUDDHIST UNLIKE ISLAM WHOSE PRINCIPLE IS FIGHTING AGAINST ALL RELIGIONS OF WORLD. WHY TO OPPOSE THIS FRIENDLY CONCEPT? RATHER PROMOTE THIS. AND TRY TO FIND SUCH RELATIONSHIP AMONG ALL COMMUNITIES AND RELIGION OFT HE WORLD TO PROMOTE PEACE AND HARMONY. WORLD IS OUR HOME WE ALL ARE FAMILY MEMBERS BE HINDUS ISLAM OR CHRISTIANS-THIS IS A ANCIENT VEDIC CONCEPT.